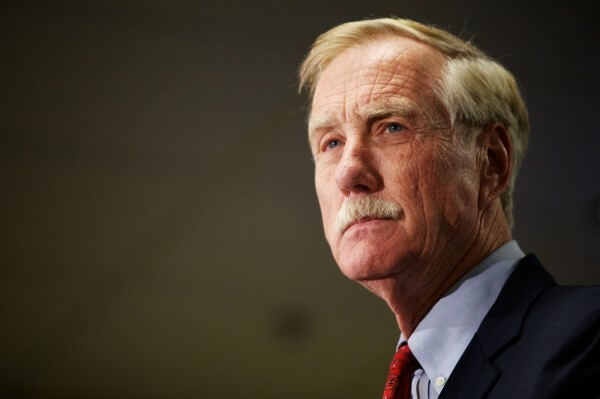 AUGUSTA, Maine — Two former state senators and a former legislative aide are among those selected to serve on the state staff of U.S. Sen.-elect Angus King, it was announced Saturday. The Maine independent’s office said the regional representatives will be key to staying in touch with constituents of the newly elected senator, who will be sworn in on Jan. 3. They’ll work under the guidance of state Director Edie Smith, who was the field director for King’s 2012 campaign. Among the seven new regional representatives are former Republican Sen. Christopher Rector of Thomaston, a businessman in retail art and picture framing, ice cream and real estate management; former Democratic Sen. Elizabeth Schneider of Orono, who has worked in business development and has been a member of numerous nonprofit boards; and Travis Kennedy, former chief of staff in the Maine House Democratic office. The other new staffers are Bonita Pothier of York County, former Biddeford mayor and former teacher; businessman Ben Tucker III of Androscoggin County, who worked on King’s campaign; Gail Kezer, who served on Brunswick’s School Board, and Sharon Campbell of Presque Isle, a longtime staffer for U.S. Sen. Olympia Snowe, R-Maine, who will be succeeded by King. King, who has been announcing his staff members during the past few days, also named additional appointments to his Washington staff. They include Scott Ogden of Monmouth, who currently serves as Snowe’s deputy press secretary and becomes King’s press secretary; Margaret Williams of Rockport, deputy press secretary; Christopher Rauscher of Maine’s midcoastal area, legislative assistant; and Aisha Woodward of Sedgwick, legislative assistant.